Safety and communication needs never stop evolving, and neither does our InformaCast mass notification software. As new technologies and demands find their way into the marketplace, our team is ready to respond and deliver cutting-edge solutions. 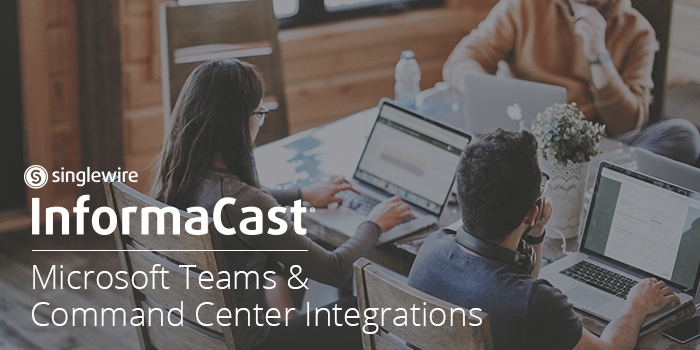 Today, Singlewire Software is releasing two new integrations for InformaCast Fusion: Command Center and Microsoft Teams. These features will make it easier for users to launch notifications and provide added value to tools your organization may already be using. In this blog post, we’ll outline the most prominent new features available in this update of InformaCast Fusion update. Command Center Integration: When you need to send out a detailed message quickly, InformaCast Command Center can help your dispatch with a simple, easy-to-use interface for informative alerts. 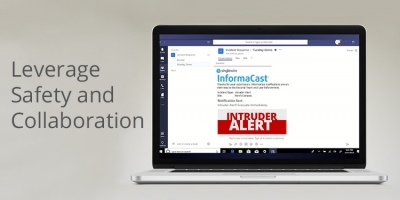 Now available directly within the InformaCast Fusion web console, Command Center can send multiple, simultaneous notifications to separate audiences at a moment’s notice. With this tool, you can craft the scenarios you and your dispatcher might send, attach them to specific sites, configure the notifications that would be triggered, and send to multiple audiences at once. Command Center is designed so that even users unfamiliar with the InformaCast Fusion web console can quickly and easily click a button, answer a few questions about their emergency, and alert others of the crisis. Microsoft Teams Integration: Notifications triggered from InformaCast Fusion can now reach Microsoft Teams users. Teams users can also integrate with Command Center, allowing them to launch notifications from within Teams to reach other Teams users, as well as other devices and groups connected to InformaCast Fusion. Full-duplex Intercom Functionality: By using InformaCast Fusion as a back-to-back SIP user agent, it is possible to make full-duplex intercom calls between several types of InformaCast Fusion recipients: IP phone to SIP speaker, SIP speaker to IP phone, SIP speaker to SIP speaker, and SIP speaker to DialCast. Several new controls have been added to facilitate this feature, including new SIP speaker parameter and new create IP speaker/IP speaker details page fields. New Paging Gateway Version: Paging Gateway 1.4.0, included with InformaCast Fusion 12.7.1, offers a new hardware model of the server as well as a new feature. It has a faster processor that allows for more capacity, and an updated storage medium that allows for longer server life. You also gain the ability to perform a factory reset on Paging Gateways running 1.4.0, allowing you to return it to its original manufacturer settings. These new integrations and features contribute to our mission to provide organizations with the best tools to build a mass notification ecosystem that reaches all of their people. Adding integrations with Microsoft Teams offers users another way to add value to existing tools and offer additional ways to reach people. Command Center makes InformaCast easier to use for those who may not use the system every day. This helps ensure that there is no delay when sending a message, and alerts have helpful information that keeps people out of harm’s way. Contact your territory manager to learn more about how you can begin taking advantage of these new features available with InformaCast Fusion. 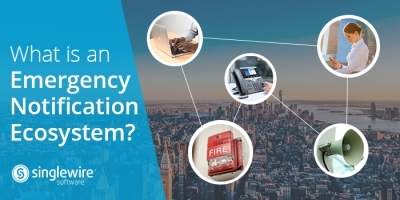 What is a Mass Notification Ecosystem and Why Do You Need One? [InformaCast] is one of our most critical services. Bells and paging are one of the most important things for schools.